I just transitioned my son’s room from a baby nursery to a toddler haven. It was a fun time for both of us, but I’ll admit that without an initial clear vision in terms of what we were going to keep, what we were going to spend, and the general theme, it was a little stressful at first. Once I was able to step back and assess the current situation (and my budget), the process became much easier. 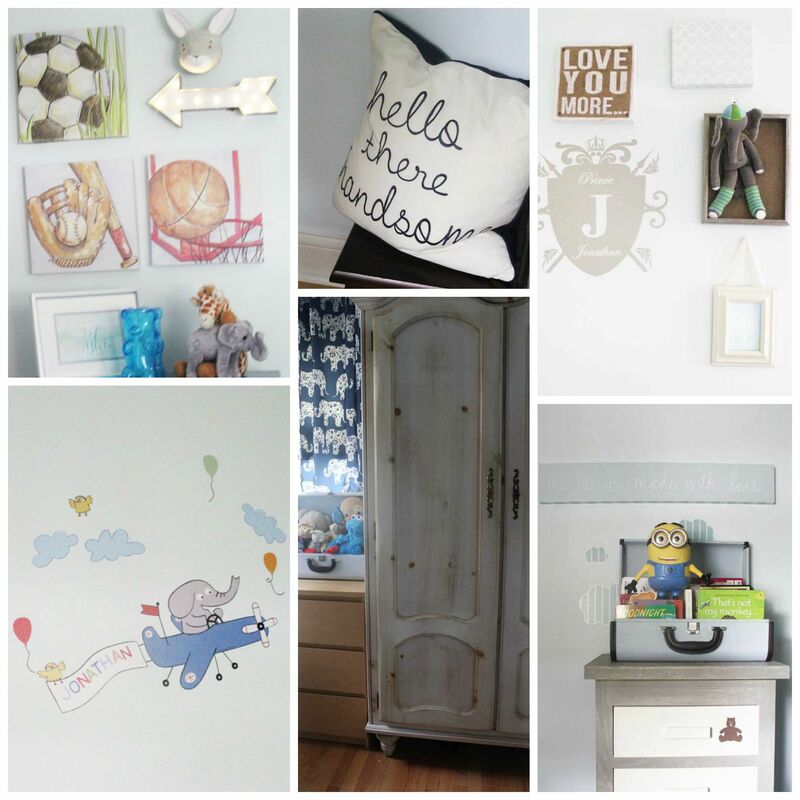 Here’s a step-by-step guide to how I quickly transformed my son’s nursery to a room perfectly fit for a toddler. There’s no need to just “pick a theme,” especially if it’s something trendy that your child loves rightthisminute. 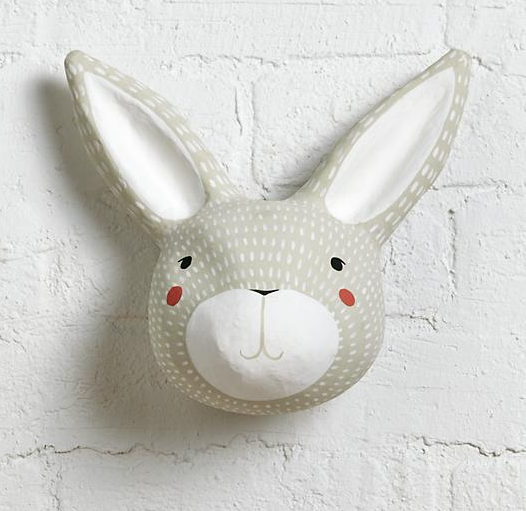 You may end up feeling pigeonholed into specific colors and decor items, and the chances are that your child’s tastes will change (and so will yours). Instead, customize a stylish theme both of you will love. 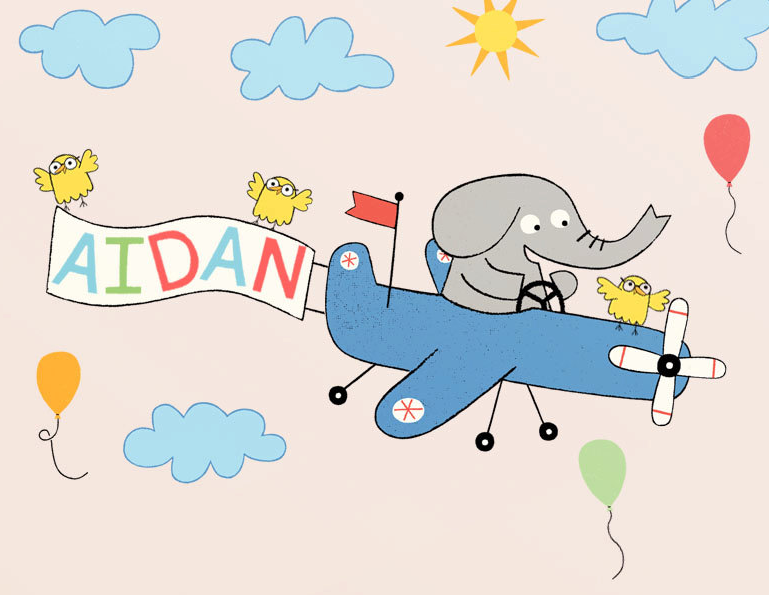 We incorporated my son’s love of elephants in a modern, “less in-your-face” kind of way. I found that incorporating my son’s three favorite things (elephants, dinosaurs, and Minions) gave a sense of diversity and visual interest we both wouldn’t tire of in three months. I wasn’t going to pay loads of money for expensive wall art or wall decals, so I settled on pieces that would make a big statement and personalize his small space. 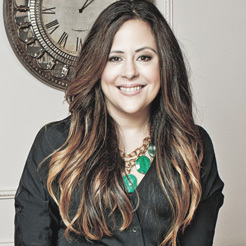 Affordable, high-impact items that you can focus on are curtains, smaller decals, and fun, stylish accents. Curtains make a bold impact that can really carry out a theme (and can be easily changed up when necessary). 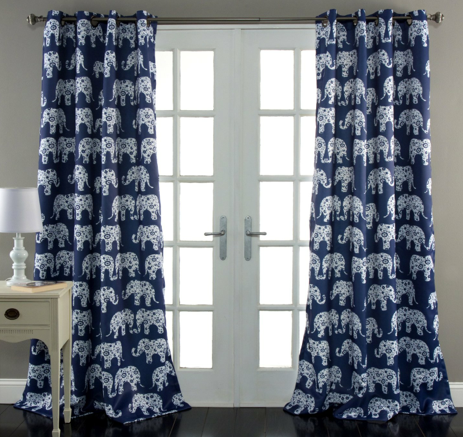 I choose these Elephant Parade Window Curtains from Amazon, $58.71, because they tied in with our theme, were masculine while being stylish, and were not overly-expensive. Decorating with small stylish accents was probably my favorite part of the process—I loved finding inexpensive new objects and items we already had around the house, and pulling them together for a cohesive and custom look. 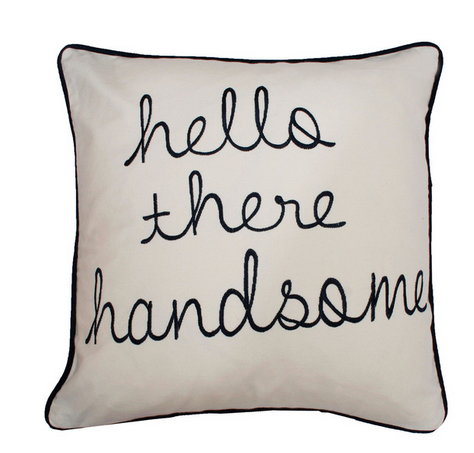 I sourced my son’s accents mostly from HomeGoods, Target, and Land Of Nod’s sale department. I’m still waiting for other pieces to come in (sometimes waiting for back ordered items is necessary—but worth the wait). Keep transitional furnishings from your child’s nursery or borrow them from a sibling. I borrowed a nightstand from his older brother and my vintage coat chest and turned it into toddler clothing storage. I also painted an older four-piece drawer set to look super boyish in bright blue. Try similar finds like this HEMNES chest or this NORDLI chest, both from IKEA. My son doesn’t like sleeping on his own, so I created opportunities for diffused, calm lighting. We made sure his bed was really inviting, and maintained a relatable atmosphere that was reminiscent of his nursery so he wouldn’t be shocked by the transition and could get a good night’s sleep. Provide fun and functional lighting that your toddler can easily control on his own if he needs to. 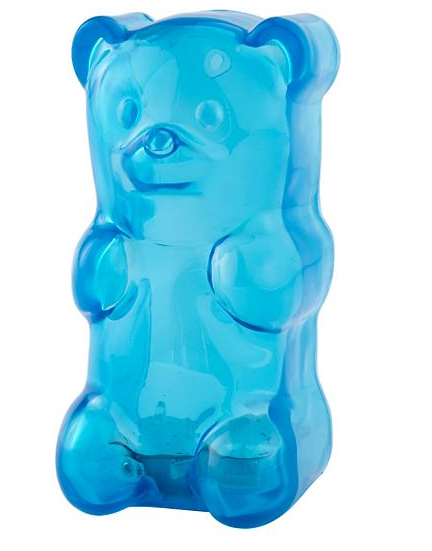 We chose this Gummy Bear Light at Land of Nod ($29). 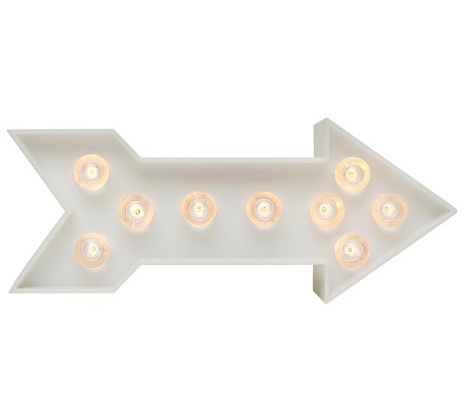 This light is adorable, but more importantly it’s not intimidating to my son, makes a great reading light for us, and once it’s bedtime, it makes a great sleeping light. My husband insisted on getting our toddler a race car bed since our older son has one. That left me with the difficult task of blending it into his room. 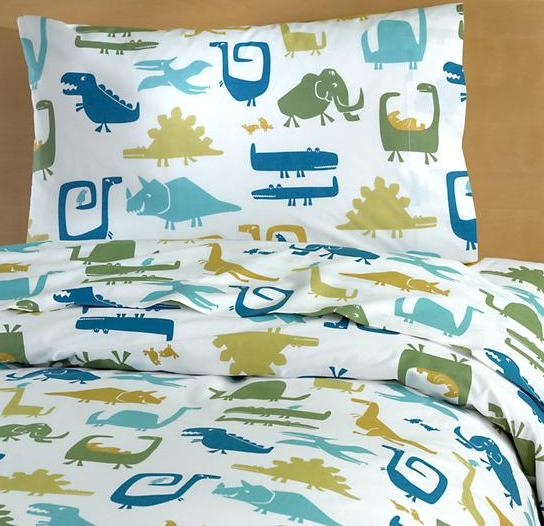 I landed on these Dino Linens by Land of Nod ($59.97), as my son loves dinosaurs and the colors in this theme blended with the other ones in his room.